I’ve sometimes been called a pocket rocket (amongst other less complimentary things!). But I tell you I met my match when I met Mary Bills of Amuse Creative. She can out speed talk me at a rapid rate of knots, and that my friends, is no easy feat, especially when I’m caffeinated (which is why I drink decaf these days). What I love most about Mary’s leap story is how she acknowledges and honours her support crew, because none of us make it through this life alone. We are hard wired for connection, and we die without each other. Our health and happiness are tightly linked to our levels of social support. In this Harvard Business Review article, high levels of social support predict longevity as reliably as regular exercise does, and low social support is as damaging as high blood pressure. And social support is the greatest predictor of happiness during periods of high stress. In fact, the correlation between happiness and Zimet’s social support scale (the academic measure used to assess students’ positive engagement with their social networks) was a whopping .71 — for comparison, the correlation between smoking and cancer is .37. But it’s not just about the support we receive. It’s also the support we give that contributes to our happiness. Social support providers — those people who help others, invite coworkers to lunch, and organise activities — were not only 10 times more likely to be engaged at work than those who kept to themselves; they were 40% more likely to advance in their careers. Mary is a great giver and receiver of support. A fantastic example of this was when she reached out to us to bring our Content Kin workshop to Adelaide earlier this year – asking for our support for her and her community. We think that’s brilliant. And it’s in that spirit of reaching out, following hunches, taking risks, collaborating and just giving things a go, that we hope you enjoy this week’s leap. Gorgeous Mary with her beautiful website on show. A pilot – I loved the idea of being able to fly, to see the world and travel and explore at will… this is still on my bucket list. A gymnast or swimmer – I loved both of these activities when I was little and after watching the Nadia Comāneci movie and Hayley Lewis become the youngest swimming medalist, I wanted to do exactly what they’d done… I never had the build or talent needed to achieve the level of success they did, but I loved competing. I ticked the conventional boxes of formal and academic qualifications starting out in Primary Education – wasn’t what I expected, so leapt into Fitness and Recreation – loved it, life happened (read: horrendous car accident, trauma and injury) and so leapt into Interior Architecture… but it’s from the informal and incidental study that I have actually learnt the most from, in both business & life. Now I study everything and anything that interests me… or my 3 year old. I still have so much to learn, about everything. The first time the opportunity became available to return to the work I had been doing before I had Annabelle, and I turned it down, was both terrifying and liberating all at once. 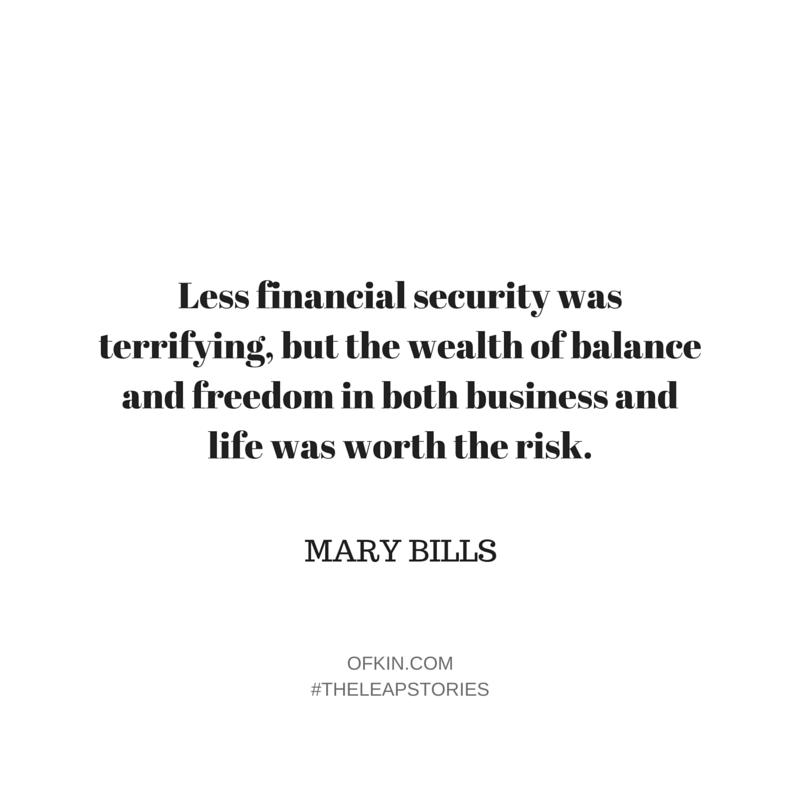 Less financial security was terrifying, but the wealth of balance and freedom in both business and life was worth the risk. I’d spent 8 years working in the design industry for medium sized firms and after my first year of enjoying/surviving motherhood, I was freelancing between nappy changes and nap times to scratch my itch for creativity. It has been my best friends that have been my greatest influences, their authenticity, energy, outlook on life and career, literally changed my world when I met each of them. Gabrielle Walsh, Susannah Mitchell, Poona Ghazizadeh & Meg Eyre – Interior Architects, a Recipe Developer and a Lawyer… Their drive, enthusiasm and fearlessness was infectious. Until having these amazing women in my life, I was fighting internal battles over what defined success and was allowing it to also define my happiness. Whenever I’d start feeling a little lost, or the negative committee inside my head was screaming loudly, their example and support helped me gain the courage to flip or pivot, re-find my purpose and get back on track. There are so many amazing, supportive and exceptional people I have met and opportunities I’ve embraced, simply as a result of my ‘what would Gabs do’ or ‘if I don’t take this opportunity Poona will kill me’ internal dialogue that has come from having such an amazing, talented and supportive group of friends. Annabelle, my daughter, is now the biggest influence and a big part of my why… Her fierce curiosity and vulnerability reminds me every day of the importance of practising kindness to myself and others, the value of persistence, patience, and observation. She challenges and inspires me and I hope to do the same for her. A support crew for both business and life. I needed people that I could rely on and contingencies in place, because there was more than just me that this leap could impact this time around. When even the thought of going back to the same sort of work I’d been doing, impacted on my health and happiness. I spent days and weeks and years dreading what the work week held. There were elements of my job I enjoyed, but the sacrifices and compromises I was making far outweighed these positive experiences. At times I wasn’t happy or fulfilled professionally, personally or financially in the roles I had. I remember trying to evaluate why I was choosing to stay and discovered a formula I stick to until this day… Whatever work I choose to do it must hit two out of these three things: personally rewarding, professionally rewarding or financially rewarding. 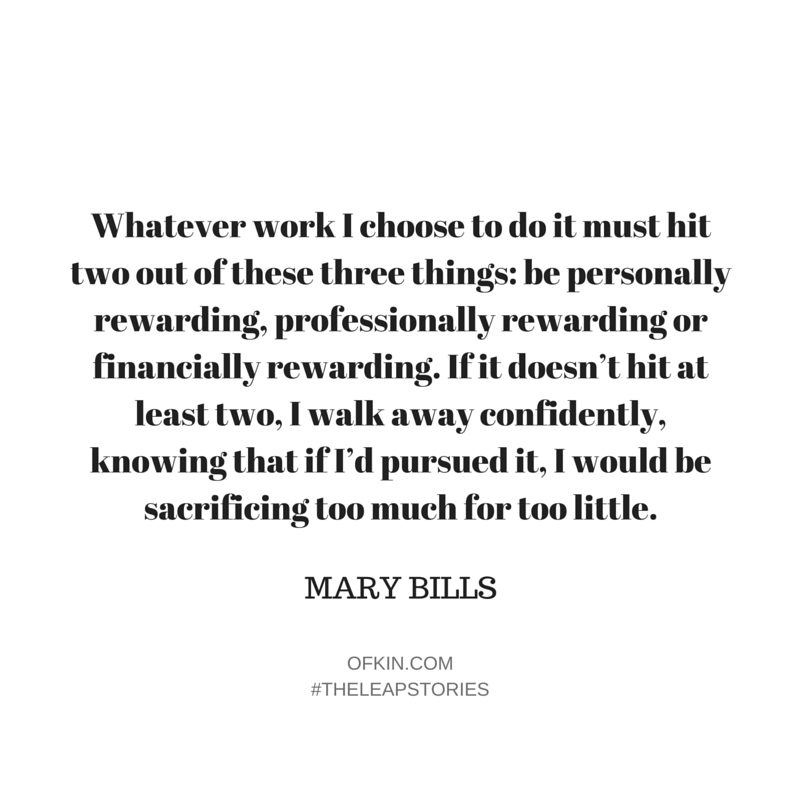 If it doesn’t hit at least two, I walk away confidently knowing that if I’d pursued it, I would be sacrificing too much for too little. On the days that I still doubt myself, my value and the value of what I’m doing, I can be paralysed by fear of disappointing anyone. I think it’s absolutely essential that if you know sometimes you struggle to back yourself, that you’ve got a support crew, ready, willing and able. I’m so fortunate to have incredibly supportive friends and one extremely patient husband, who I couldn’t get through some of these more debilitating days without. Adopting a minimalist approach to our lifestyle freed up enough funds to allow for covering the minor overheads that were required to maintain the momentum of the leap. Read: gave up coffee dates, walked instead of drove, gave up new clothes and pretty much, new anything until revenue started rolling in. What other leaps have you made in the past? Too many to list… I’m a serial leaper. What leaps didn’t work out? What did you do about it? I started a business called Table Mantle Pantry a few years ago that was a homewares and interiors initiative. It was only intended to be a hobby, but got some legs quickly and so I ran with it. A few life events collided and I couldn’t keep it up. I briefly thought about integrating it into the business I have now, as there was some relevance, but realistically I don’t have the capacity for maintaining it at all. I’d taken the website down once I’d ecided I didn’t want to pursue it as a business, but just realised I still need to get around to removing the Facebook page… one of those things on the never-ending To Do list. Disappointment. It has really paralysed and distressed me in the past. I’m really aware now of how ingrained it is in me, to care what people think, of me, of what I do, of what I’ve done. I have high expectations of myself and sometimes they’re unrealistic. I’m working on recognising that I need to be as kind to myself as I would be to others, and recognising that now that I’m working for myself, I’m in charge of managing those expectations, whether they be of myself or others. I’ve also recognised I’m not the greatest at keeping this in check so I’ve surrounded myself with a good support system of both people and triggers that remind me to be realistic and maintain perspective. The biggest upside to leaping is the liberation and innate sense of relief knowing that new leaps are infinitely possible. There’s wonderful confidence and happiness that comes from leaping because you have the taken back the power to define what success is. Switching off can be hard. Excitement, anticipation, adrenaline or a persistent negative committee inside your head, can result in a lot of lost sleep! An empathetic ear and mindfulness practices are what I rely on for restoring perspective and rest when either my life or mind are becoming too frantic. Being an employer… This is the first leap I’ve taken that’s going to be bigger than just me, and this next leap is probably the scariest so far… this shiz is gettin’ real! There is always tomorrow. Unless you’re literally in a life or death situation, an hour, a minute, a day or a week, isn’t going to kill anyone. 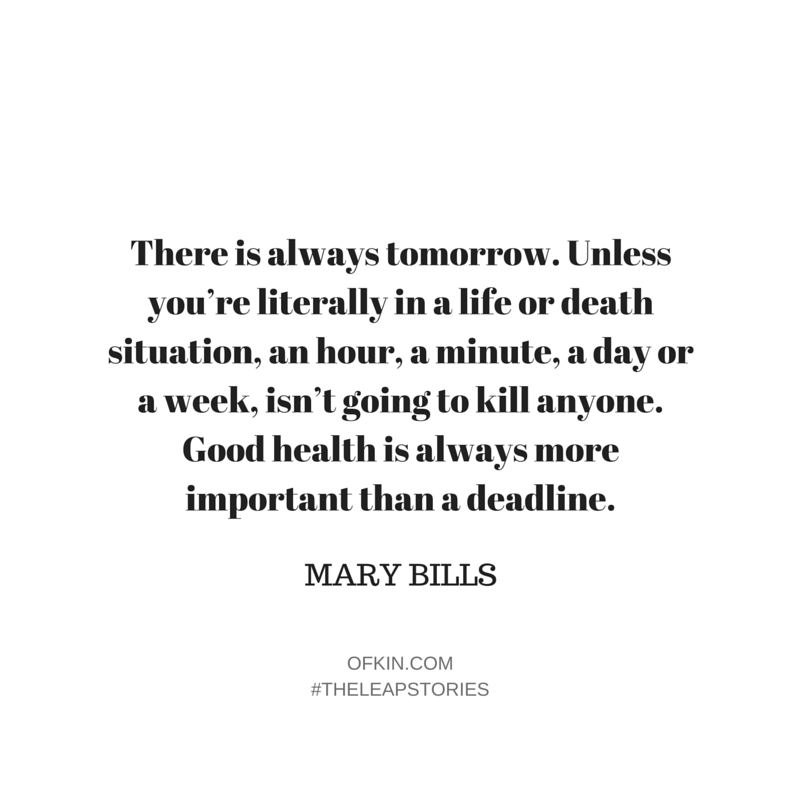 Good health is always more important than a deadline. Define your own version of success and pursue it passionately. 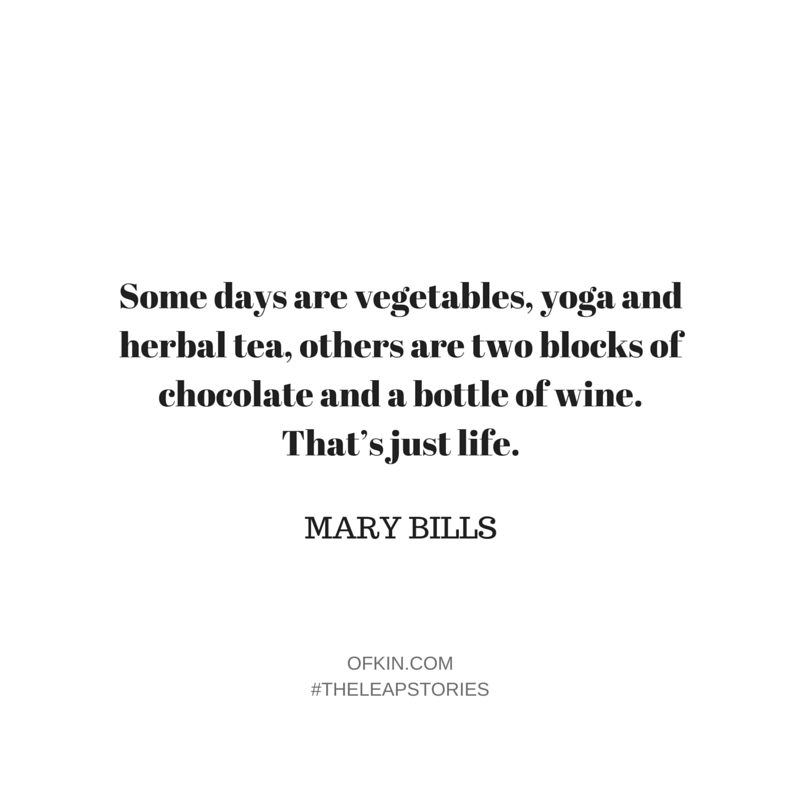 Some days are vegetables, yoga and herbal tea, others are two blocks of chocolate and a bottle of wine. That’s just life. Poona Ghazizadeh, Marie Pier Labelle, Susannah Mitchell and Meg Eyre. Spend time getting clear on the outcome you want, write it down and put it somewhere you’ll see it every day. 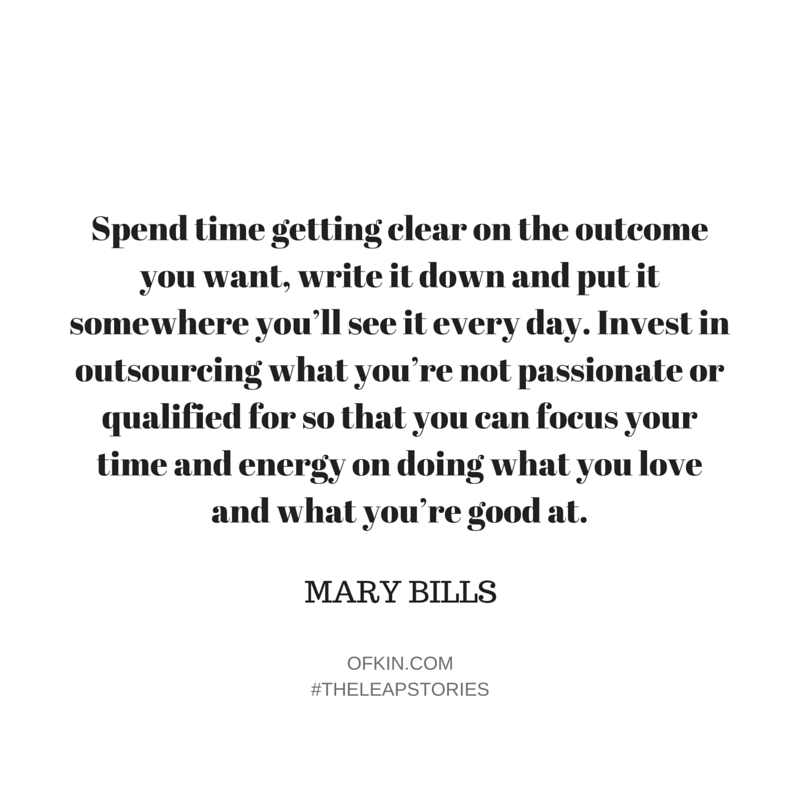 Invest in outsourcing what you’re not passionate or qualified for so that you can focus your time and energy on doing what you love and what you’re good at. So who is in your support crew? Who is your wise council? If you were Prime Minister, who would be in your cabinet? p.s. My favourite track this week is a Rudimental song featuring Ed Sheeran, and it’s called Lay It All On Me… just what a great support crew would let you do! Calling possibilitarians from across the globe! 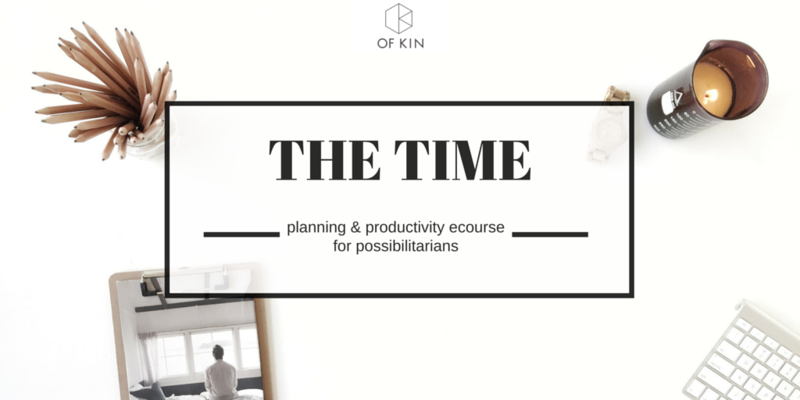 We invite you to join us for an productivity and planning ecourse to program your business GPS for 2016. We’ve just unlocked the doors to our newest ecourse, The Time. 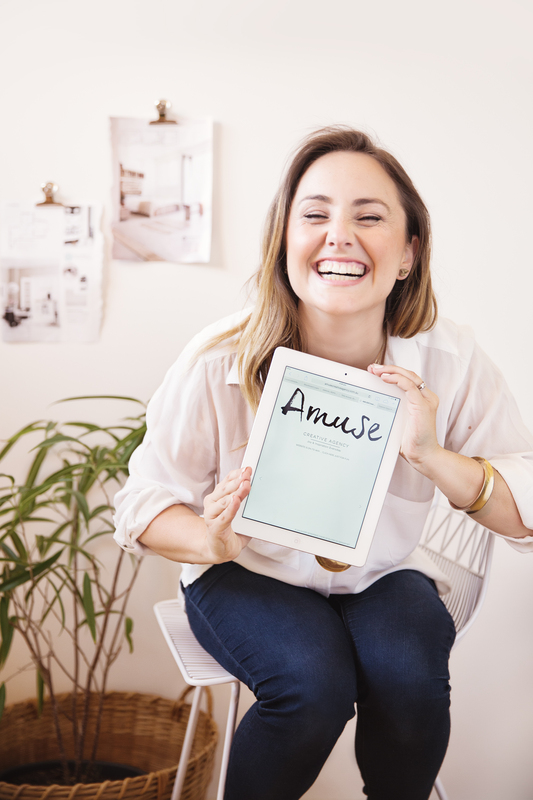 This is a creative and interactive 6 week (or self paced) ecourse for curious and entrepreneurial types, exploring your business goals, getting to what is essential, planning tools, dealing with stress and overwhelm, and becoming the master of your time and energy with a good dose of self care. It’s like a day spa for your business brain! If you missed the webinar about the course, never fear! You can listen to it here. Earlybird pricing of $395 ends at midnight tonight. Save yourself $100 and jump on board now.